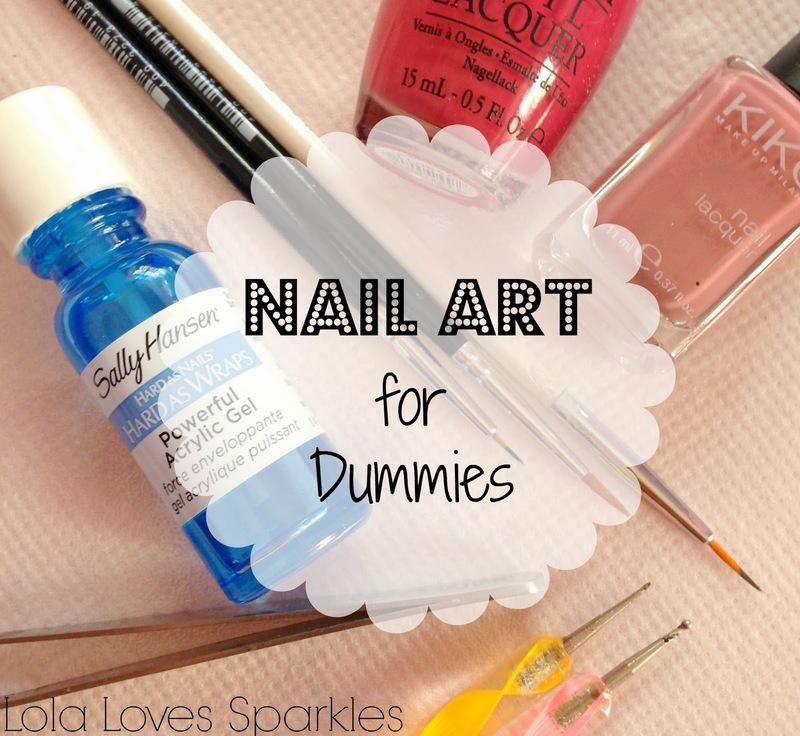 Do you love nail art but can't draw on your own nails? Can you easily draw on one hand, but have problems drawing on your non-dominant one? ... and of course, nail polish! To start with, apply one layer of thin topcoat on the plastic folder. Here I used the Sally Hansen nail hardener which works too - but since it is gloopier it takes more time to dry. A fast drying topcoat works much better. Draw out whatever design you little heart desires. Here I did a quick Cath Kidston / vintage flower design. Allow to dry completely! This is very important. So be patient! [Tip] I never clean my paint brushes after I use them, this helps the bristles stay pointy when I store them! 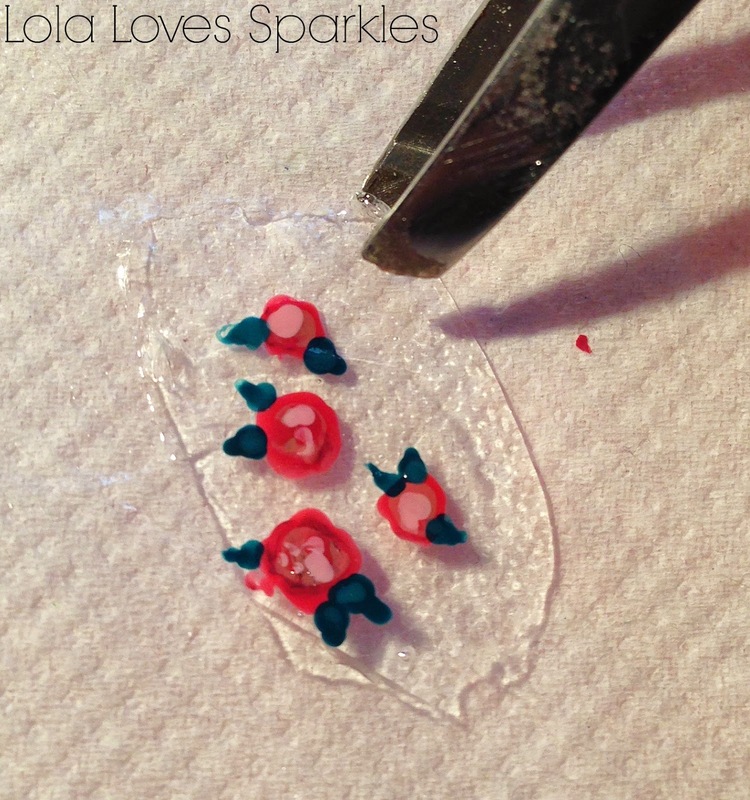 Taking your tweezers, carefully peel the topcoat / design from the plastic sheet. 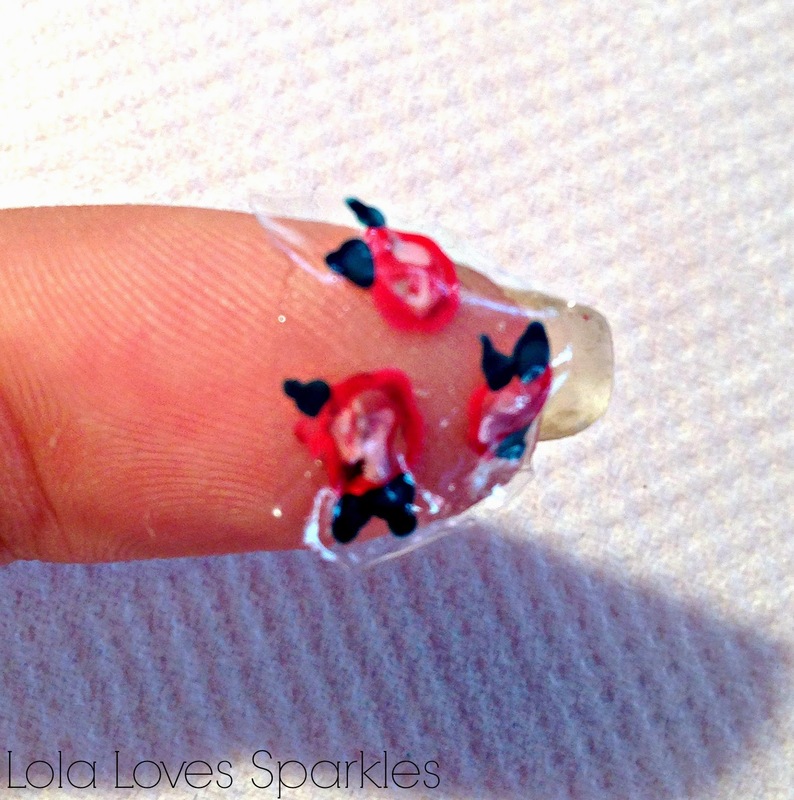 Then stick it on your desired nail! 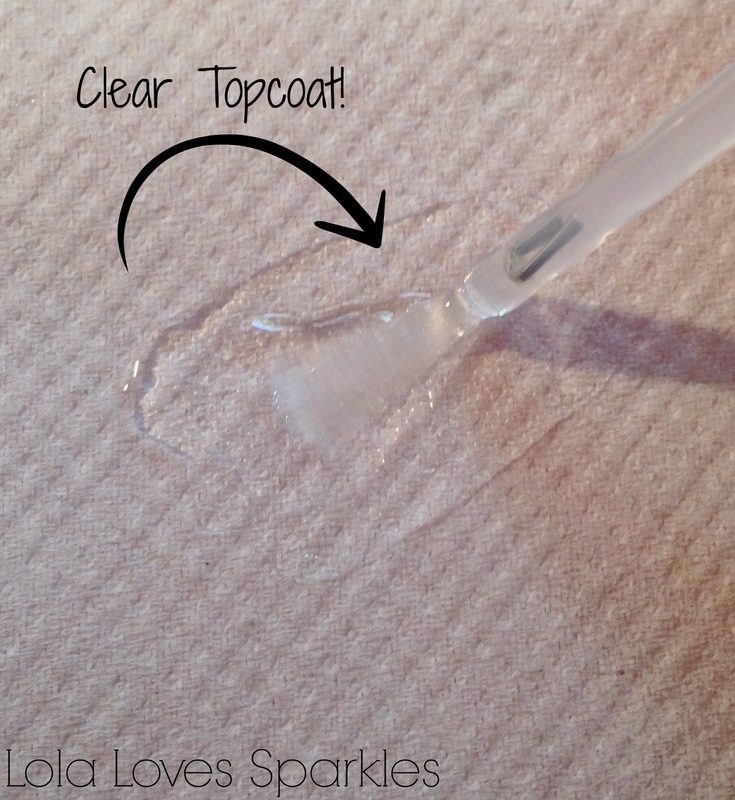 You can just layer it on without any nail polish or glue, but make sure that you seal it with a top coat. And there you go! 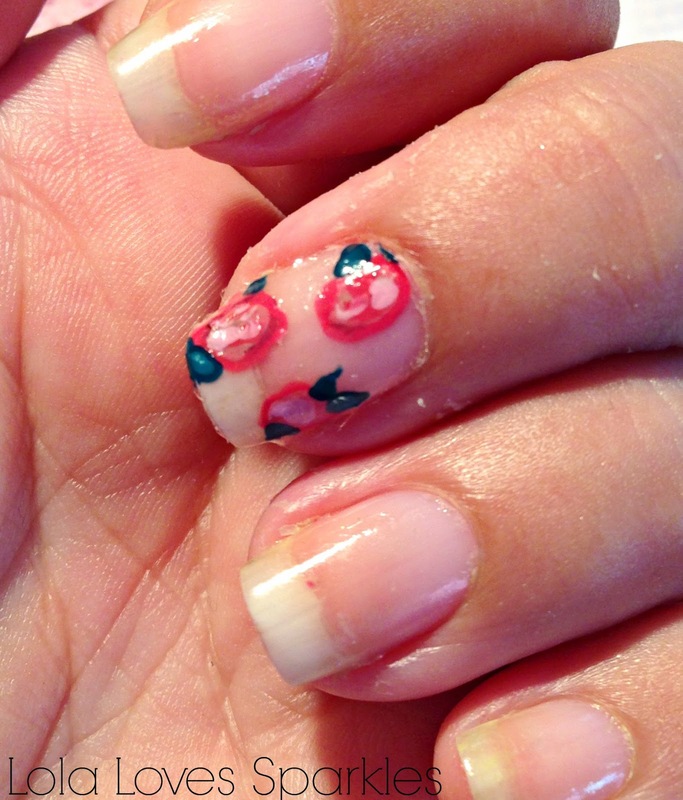 Easy, peasy beautiful nail art in minutes. This method is especially handy when you are able to paint with your dominant hand, but find trouble repeating the design with your other hand. I really would like to start posting more tips and stuff rather than just reviews, and I thought I'd start with my current skin care regimen. Let me know if you find this post of interest! First I though of sharing with you that up to my early twenties, I really didn't give two hoots about my skin. I slept with my makeup on [still do that sometimes] and washed my face with just soap [the normal kind]. I sometimes used Simple products, and once I got me some Nivea ones too - but I always managed to use them for a week, and then get bored with them, and I inevitably stopped using them. Fast forward to a couple of years. 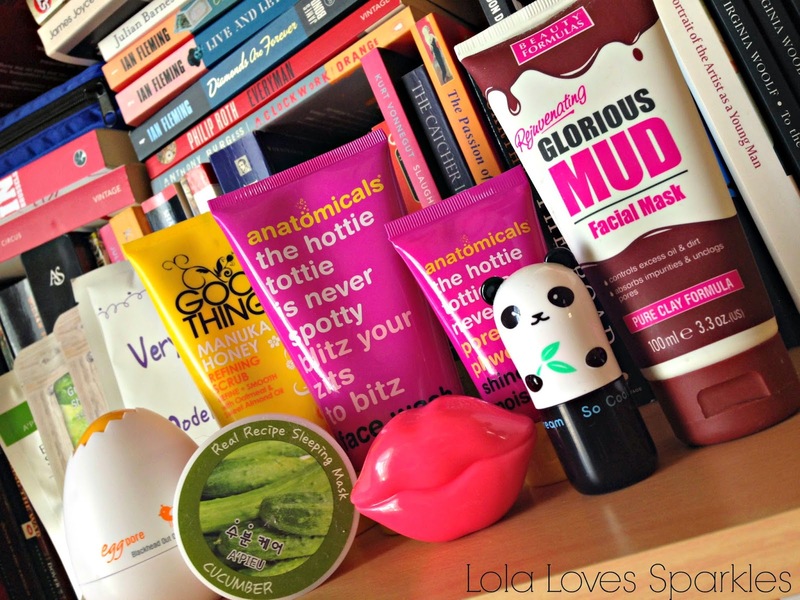 My love for skin care started with my love for cute beauty products. The cuter the packaging, the greater my obsession and love became. Apart from wanting to try out cute products, I always want to get my hands on different ones. So next month's list will not necessarily be the same as this one, although I swear that I've repurchased a couple of items from this list. Anyway, enough of the rambling. Starting with face wash - I tend to use the Beauty Bar by Dove [which I haven't pictured here] I love the smell, and it works really well at removing makeup too! Plus, it is super cheap and it is [if I'm not mistaken] available worldwide. 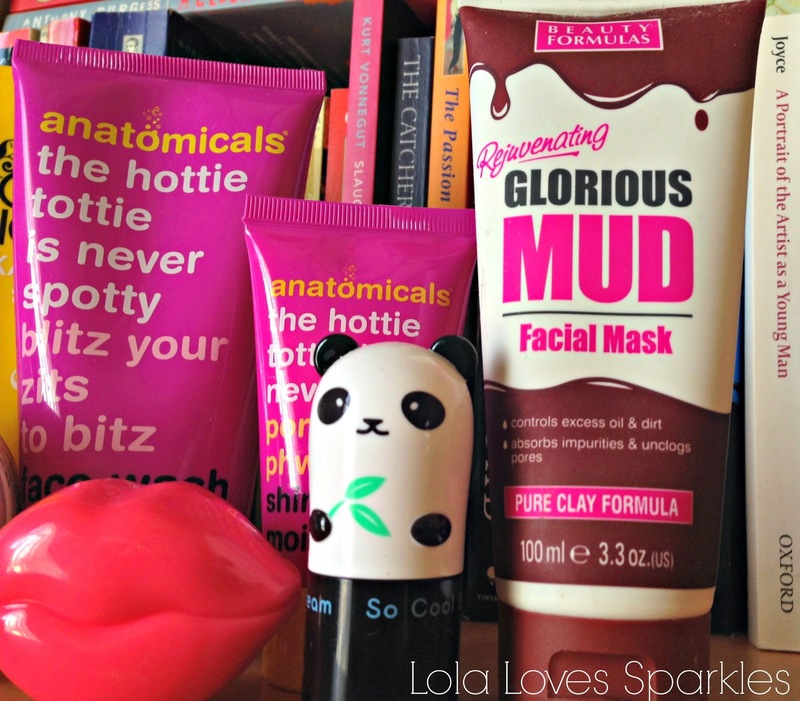 I also like to use the Anatomicals The Hottie Tottie is Never Spotty Face Wash. It is very mild - plus if I'm not mistaken there is a warning to not use this on your eyes - but hey! I'm a rebel like that. Since it is very mild it does not remove stubborn makeup but it leaves your face feeling very soft and not at all dry. As a face mask, I like to use a couple. Pictured here is the one by Beauty Formulas called Rejuvenating Glorious Mud Face Mask. This is also budget friendly and works really well. I like to use this one every week, and especially before special occasions since this gives my skin that taut feeling which I love. It also leaves your face looking quite red at first, so don't be alarmed. 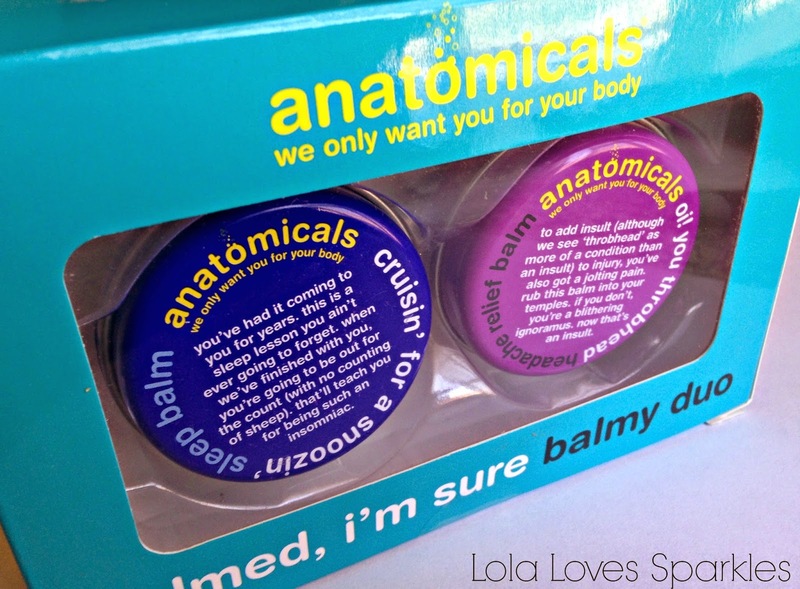 The Anatomicals Hottie Tottie Moisturiser is what I've been using for the past 9 months or so - guess I really love it! 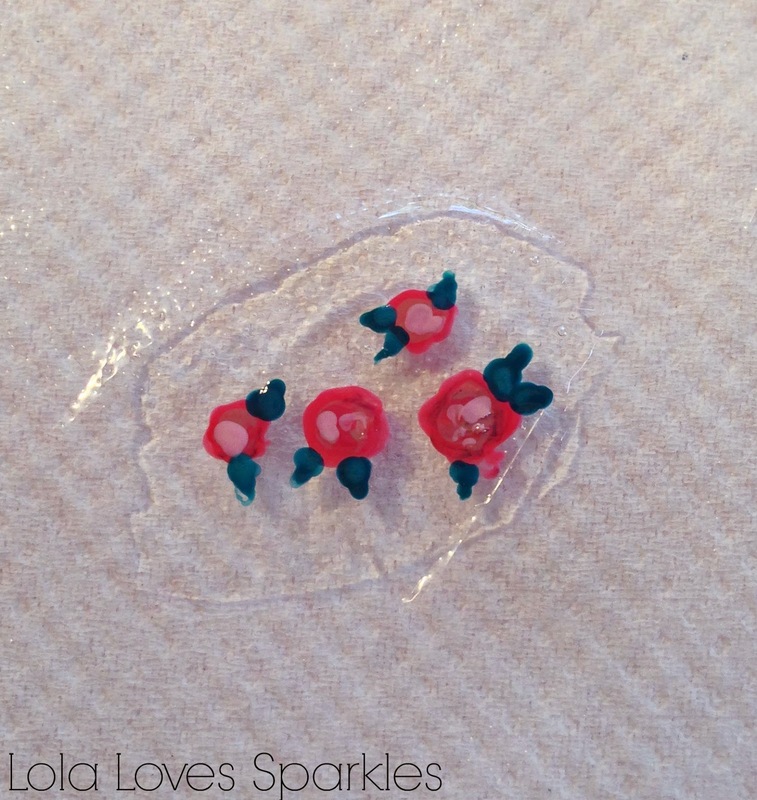 I've also posted a review for this - click HERE to read it for more info. One of the latest to join my skin care brigade is this Panda's Dream So Cool Eye Stick by the Korean brand Tony Moly. I usually pop this cooling stick in the fridge before I use this on my under eyes. This works a treat especially when I have tired, puffy eyes. I also love this Tony Moly Kiss Kiss Lip Scrub, because I get really dry lips and usually prep them with this scrub when I'm using lipstick. You can click HERE for my full review on that. I also like to use a scrub every couple of days. 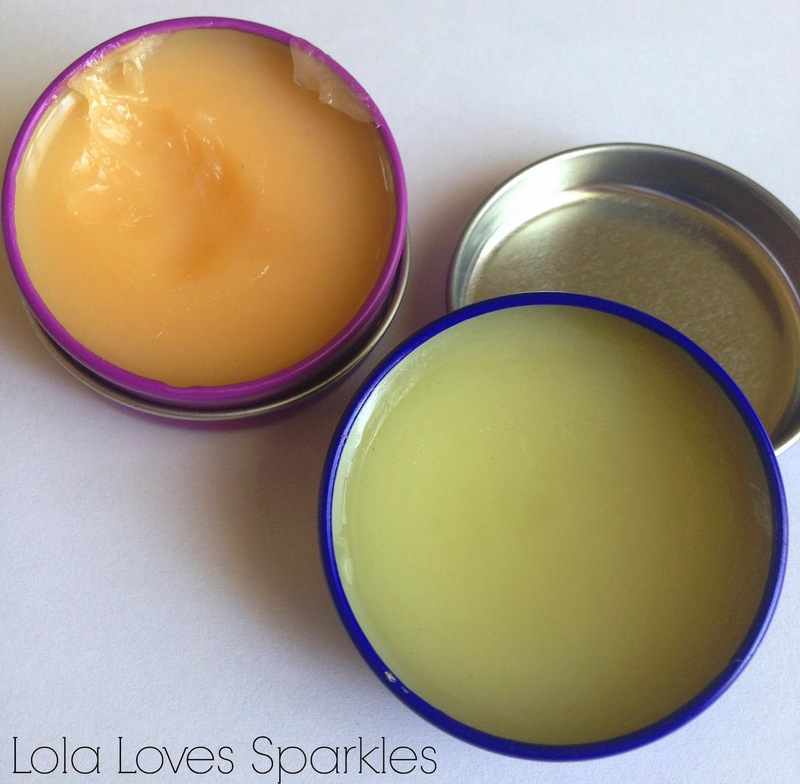 I love this one by Good Things - the Manuka Honey Refining Scrub. I also had the matching facial wash but I've run out of that one. This scrub smells super duper yummy and it not really abrasive - plus it leaves your skin feeling soft and invigorated- and most importantly - clean. The last 2 products are the new comers and were gifted to me by my brother and sister in law. 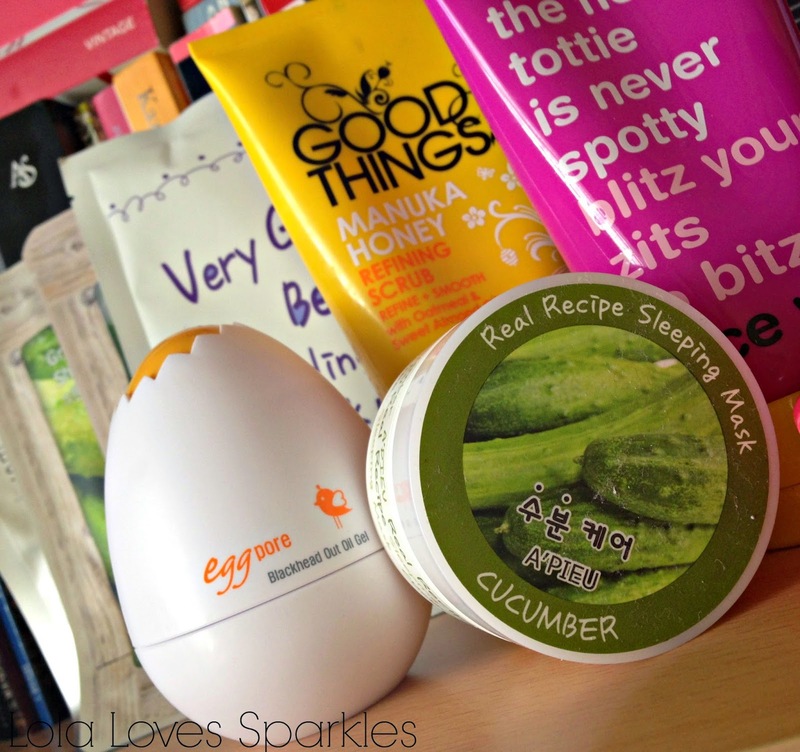 The first one is this A'Pieu Real Recipe Sleeping Mask in Cucumber. This has a really strange consistency - kind of like jellied watered down cucumbers, You can use it as a quick mask, or you can leave it overnight and then wash it in the morning. I usually prefer the latter. I also love this Tony Moly Egg Pore Blackhead Out Oil Gel. And yes, you've guessed it - Tony Moly is one of my favourite Korean brands - both for makeup and skincare! This is one product out of a 3 part system which help clear out your blackheads. I will be posting an in depth review of this in the coming days - so keep posted for that. As I've mentioned earlier, I also love to use a variety of face masks. 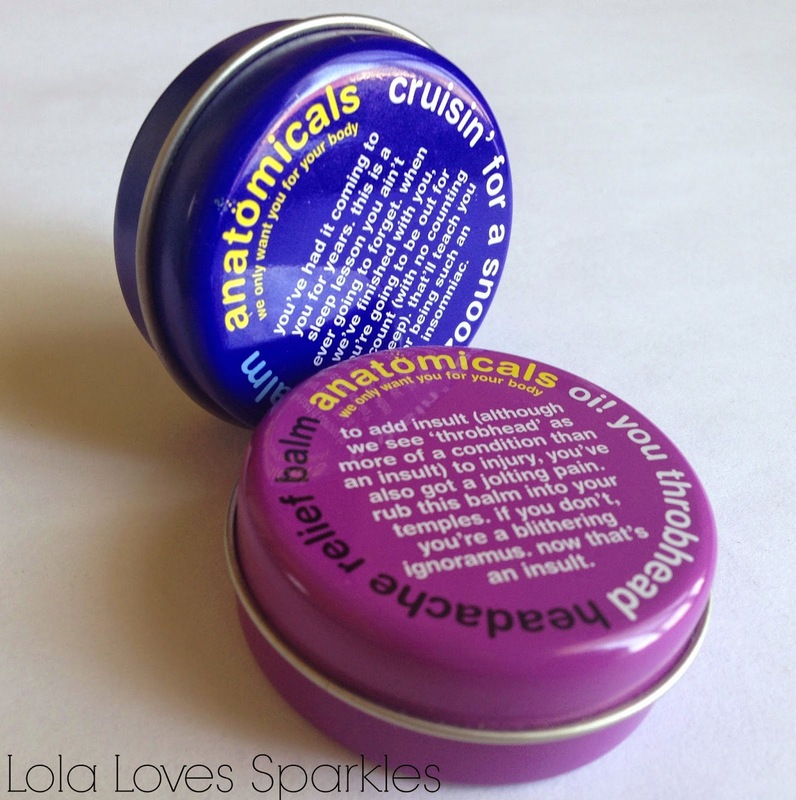 I've used a couple by Anatomicals before - check out my reviews for those by clicking HERE and HERE. But my most favourite ones to use are undoubtedly by Korean brands [pictured on the back] especially since they normally come in a sort of 'cloth mask' which you just place on your face and therefore you don't have to apply the mask yourself - saving time. And that's it for my current skin care loves! Let me know if you would like me to review anything from the list :) Plus DO tell me which is your holy grail skin care product! A while back I uploaded the above photo [of my nails, no less] on We Heart It [follow my account by clicking HERE] where it received nearly 500 likes [or hearts]. 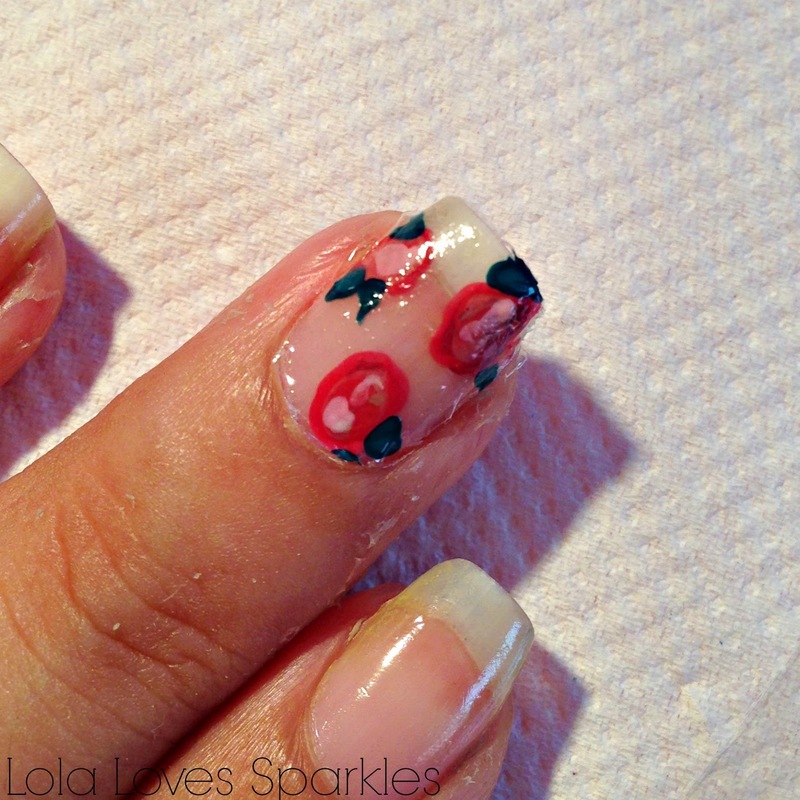 This design seemed to be a hit, so I decided to share my secret with you and tell you how to achieve this manicure in 1 simple step by using a nail stamp. 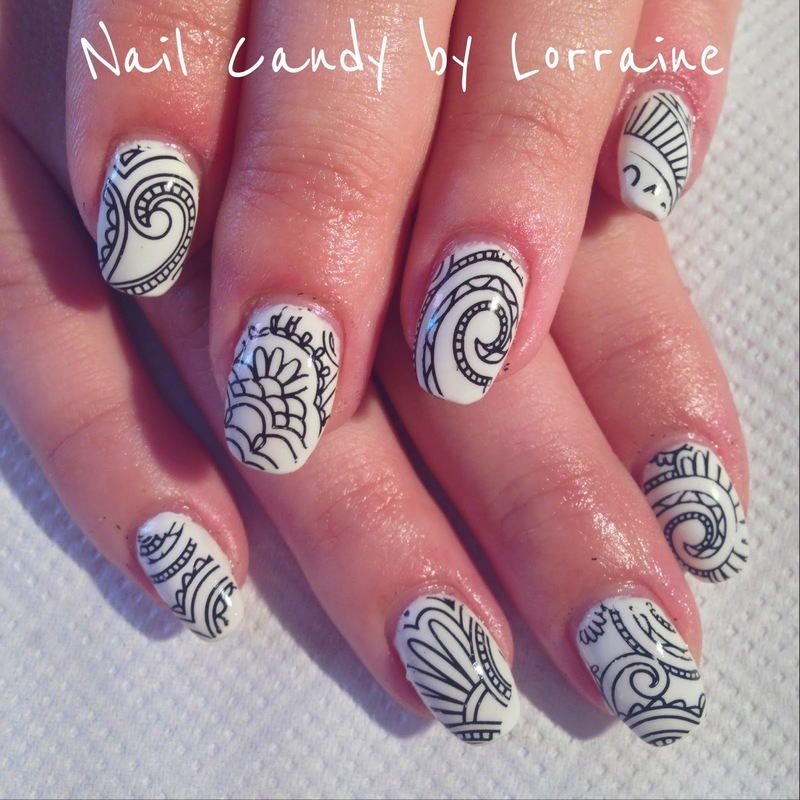 A one of a kind nail stamp that is, from Born Pretty Store. 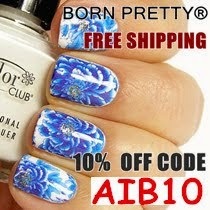 The good thing is that this costs just $2.99* [inc free world wide shipping] and you can also use the code AIB10 at checkout for a further 10% discount. Ah btw! The midi rings that I am wearing in the above picture are also from Born Pretty Store and you can get them by clicking HERE. They cost $2.18* for both and same rules as above apply. As you can see from above, the nail plate comes in a protective, blue sticky layer. Of course, you need to peel it off in order to use it. 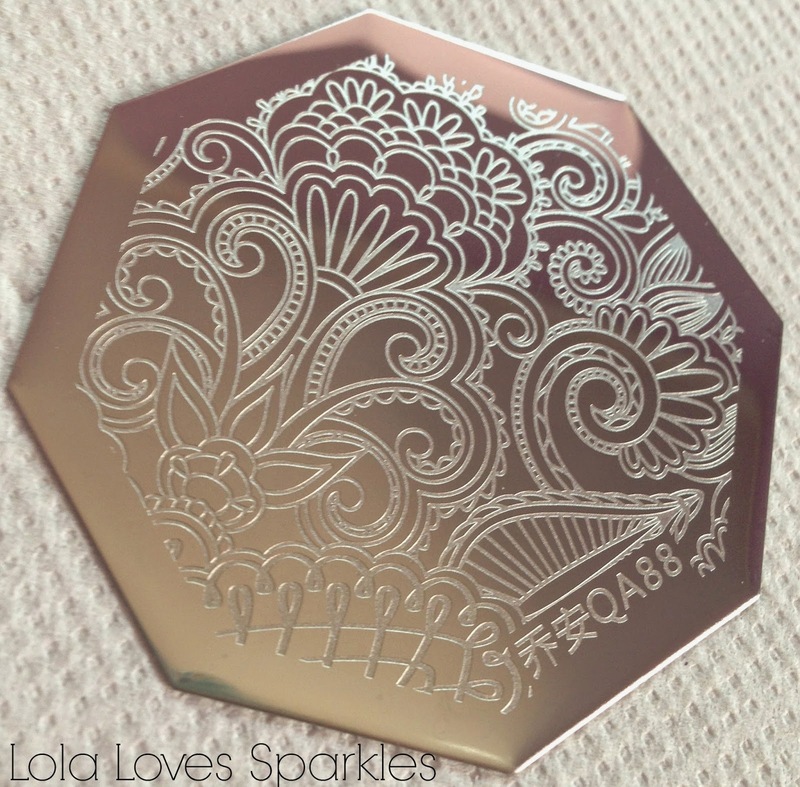 What made me get this nail plate is the fact that it has a whole design engraved in it, unlike the usual ones which have a couple of designs. 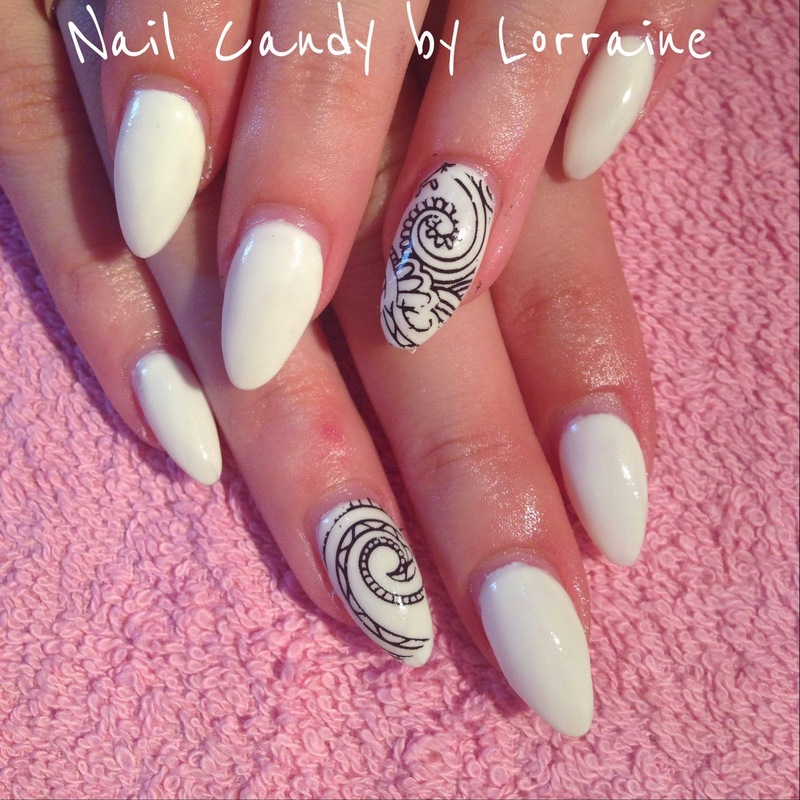 This way, you can have different designs on all of your nails, while maintaining homogeneity. Plus, no nail will turn out the same. 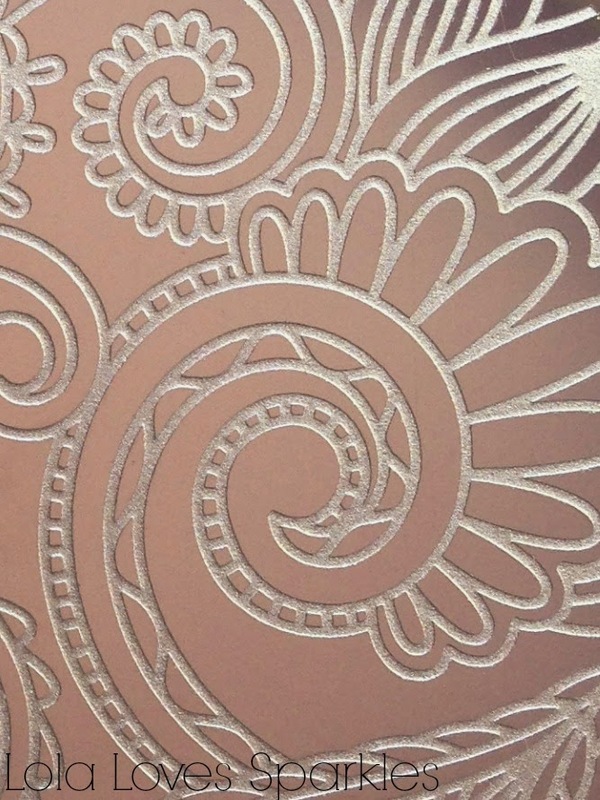 Unlike 'cheap' stamping plates, this design is deeply engraved in the metal, so you'll find no problem with it. 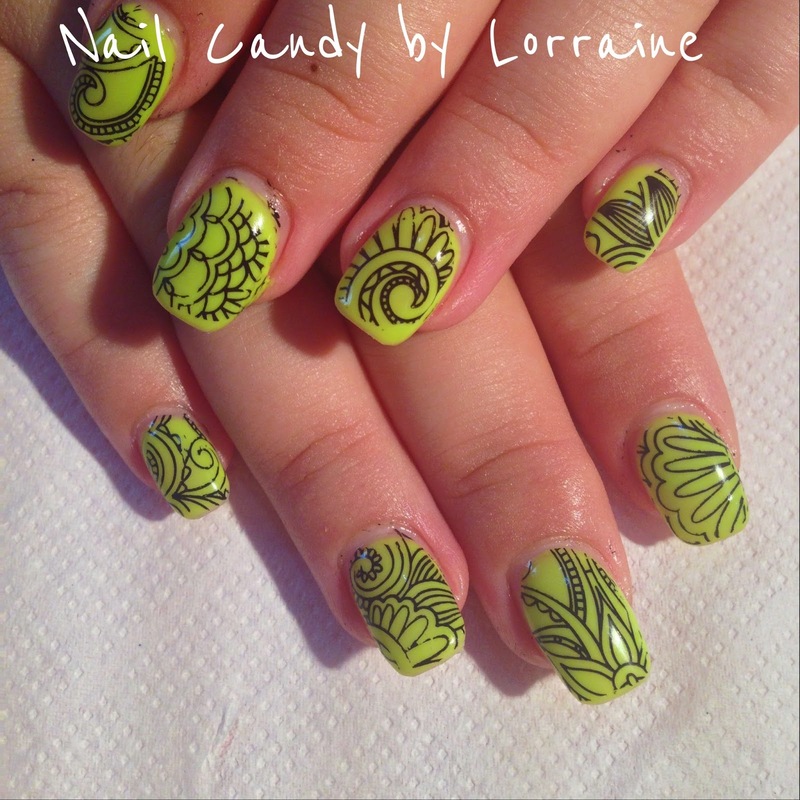 Of course, if you use stamping polish the result will be the best possible, but a normal 'thicker' polish will work just as well. 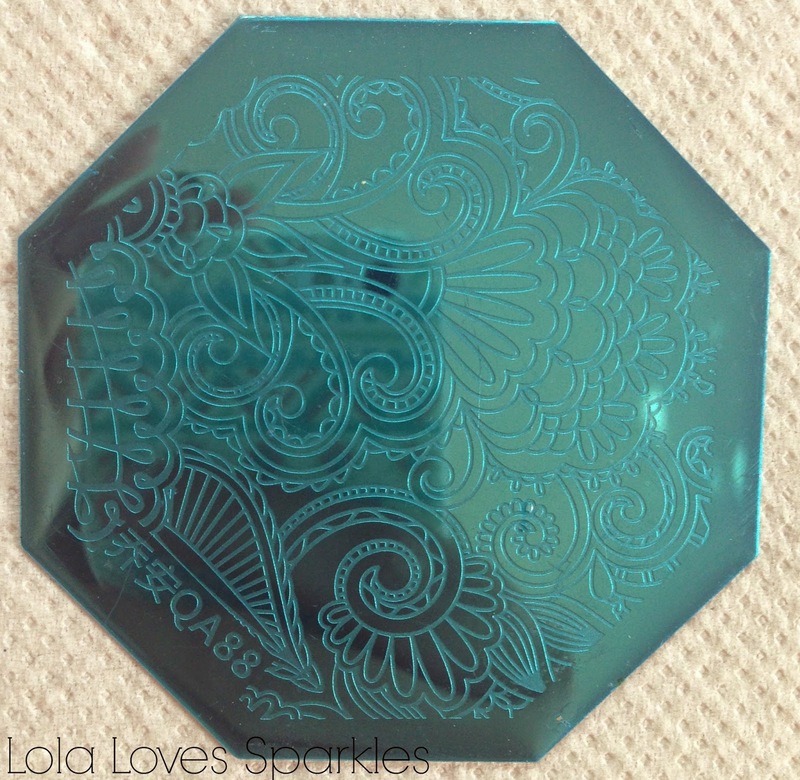 I thoroughly recommend this plate - especially if you a nail art beginner and would like intricate designs but you do not have steady hands or enough practice. Hope you enjoyed this review and designs! Who doesn't hate that throbbing feeling? The fact that my boyfriend really has trouble sleeping is what made me get this pack. It costs €10.50 and you can get yours from the Anatomicals website HERE. They are based in Malta but they also ship worldwide [if I'm not mistaken]. To use you just rub on your temples and let it sink it. I, on the other hand, find that this helps me drift off nicely - although my boyfriend did say that I end up talking in my sleep when I use this balm. i.e I don't think that this balm will work on everyone. To use, you massage it in your temples and other pulse points. 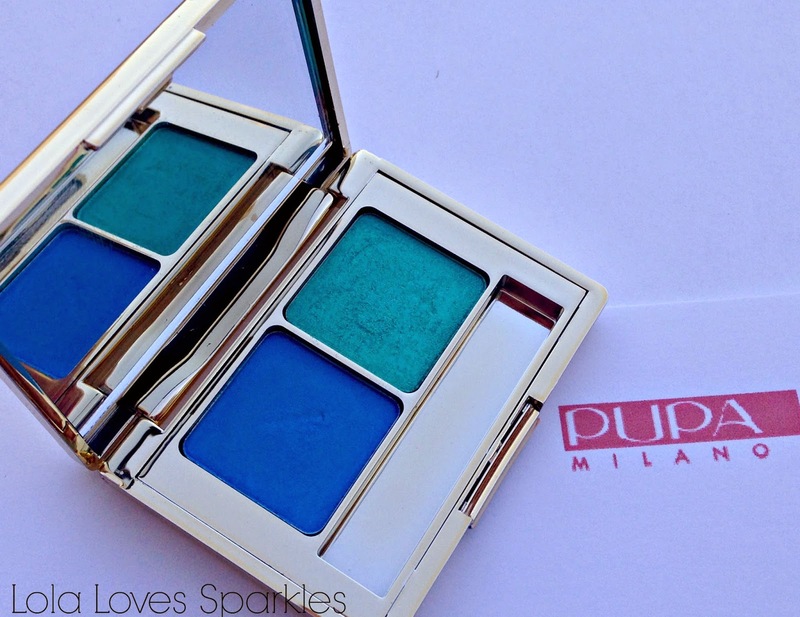 With last month's fuss around the World Cup, Pupa Milano were, as usual, bang on time and trend. Among the items in the Viva Carioca collection is this Vamp! 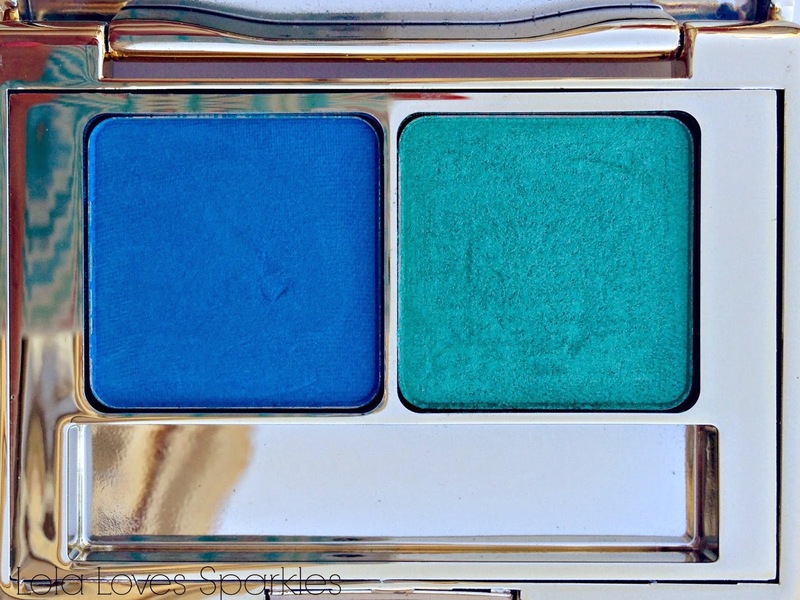 Duo Eyeshadow compact, which comes in 4 different colour combinations and retails for €12.25*. The compact has a gold metal case which has a mirrored effect. It also comes with a double ended brush [not pictured]. You also get a good sized mirror, and I'm happy to say that the compact shuts with a very satisfying click, meaning that you can safely carry this around your bag without the risk of any breakages or spillages. The Vamp! 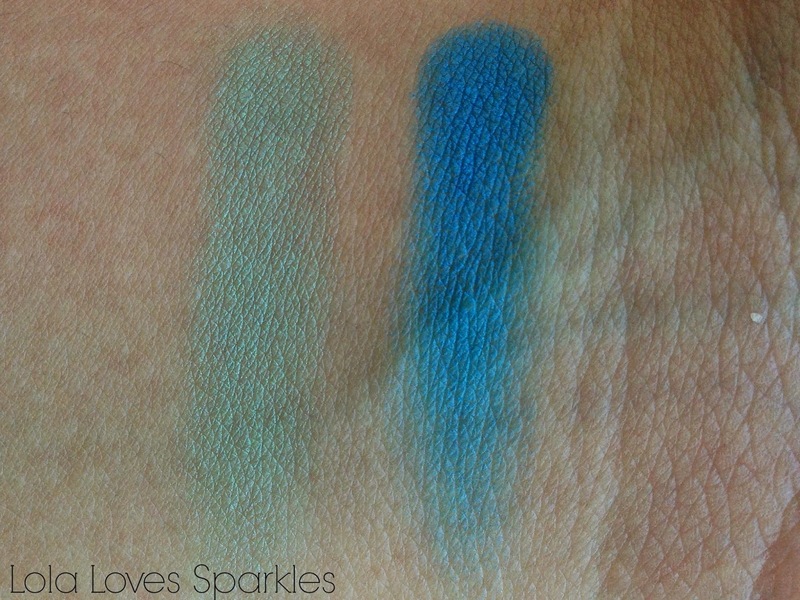 Eyeshadows in this palette [#003] are, as you can see above, a matte blue and a shimmering green, which go super well together. They are both buttery smooth, and have a good pigment, although I did find that the blue one is more pigmented than his green neighbour, perhaps because it is matte while the other is not. This though is easily solved by layering on the colour for a brighter look. They are easily blendable, and stay on for absolute ages. I was happy to see that these did not need any primer because once applied, they do not crease or budge. Of course, if you're too scared to use these as an eyeshadow, you could always use them as an eyeliner, or to set pencil liners for a brighter, bolder look.